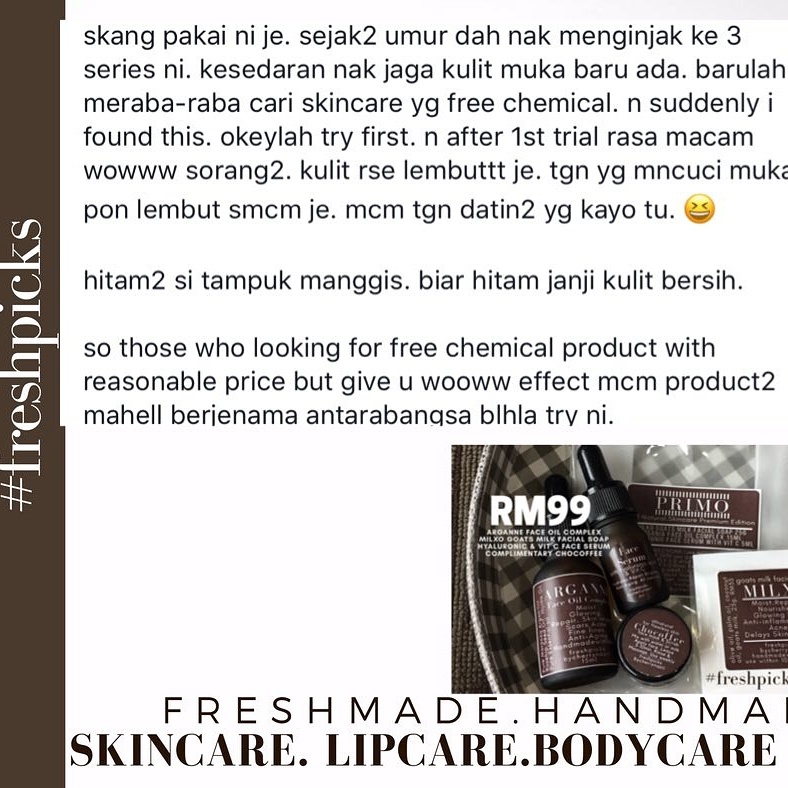 I pernah ade this sceptical perception about face oil sebelum ni.. mungkin sebab too used too moisturizer only.but i want to try something more to enrich the skin..so when Freshpicks Primo set was launched in early Oct, I tried the set which consists of Argan face oil,hyaluronic acid+vit c serum, goat milk facesoap & chocofee scrub. Cume if you have extra dry skin like mine, i prefer to use moisturizer first before the face oil for optimum result. 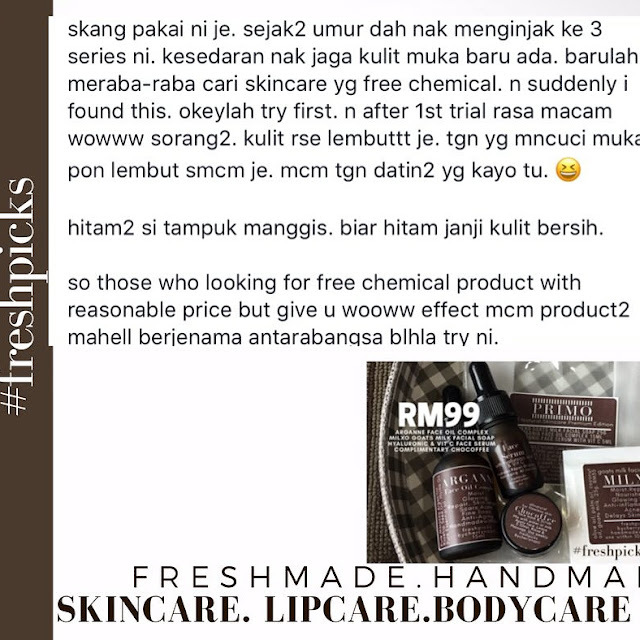 Marilah cuba Primo Set ni sementara promo masih ada+ free postage lagi. Whatsapp 019 3755133 for inquiries and order yea!